When I look back at my yearlong trip around the world, I find myself in awe of many of the places that I had the privilege to visit and the honor to witness on that whirlwind itinerary. 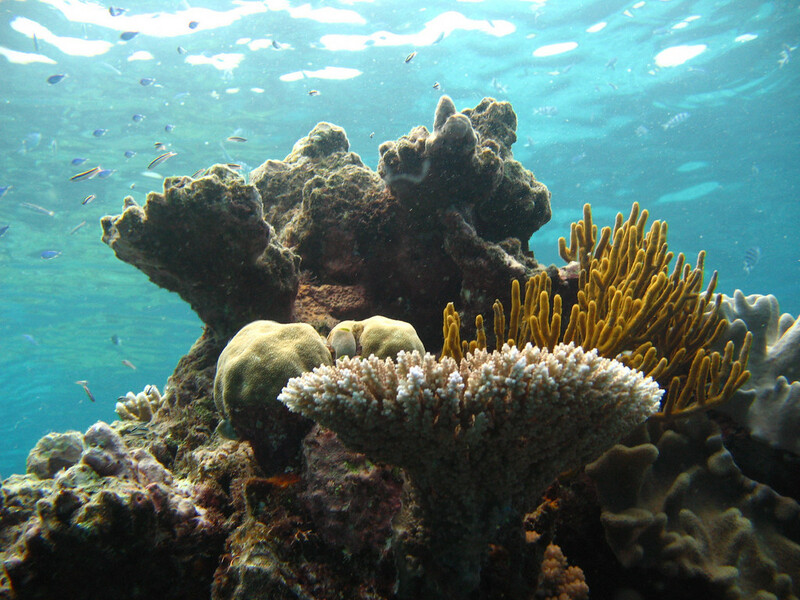 Each winter when it’s cold outside, I am able to look back and remember that there was a December all those years ago that I spent a week on a liveaboard boat diving on the Great Barrier. In the summers, I think fondly of the wonderful and unexpected street theatre that I found that one summer in Slovenia. This blog started in 2008 as a travelogue detailing that initial trip. During that year, I backpacked through 15 countries. More than decade later, I’m still on the road (though based in Barcelona). Since that initial journey, this site has morphed into quite a bit more. It’s a community. It’s a resource for travelers, with tens of thousands of words dedicated to planning a round the world trip. It offers inspiration, but also the raw and honest side of travel. I travel with a bent toward responsible tourism, so you’ll also see within my stories ways to infuse local-level travel into your own trip. Since that trip, I have visited dozens more countries. I have even lived in a few. I’ve traveled with my niece. And then with my nephews. And again with another teen niece. It’s been a long road. Let’s jump back to that initial year and I’ll share everything from what it took to plan to where I went each step of the way. As my travels continued long after my trip, for posterity’s sake, these are the highs and lows of my year backpacking solo around the world from 2008 to 2009. The Nitty-Gritties: Where Did I Go on My RTW Trip? I spent 11 months traveling around the world. I first flew to Australia and then worked my way back home. Use these links to navigate to that part of my itinerary and discover the stories, sites, and activities I found in that part of the world. Australia (two months). Thailand, Laos, and Cambodia (six weeks). India and Nepal (three and a half months). Italy (three weeks). Croatia, Bosnia and Czech Republic (seven weeks). Netherlands (two weeks). England, Scotland and Ireland (two months). 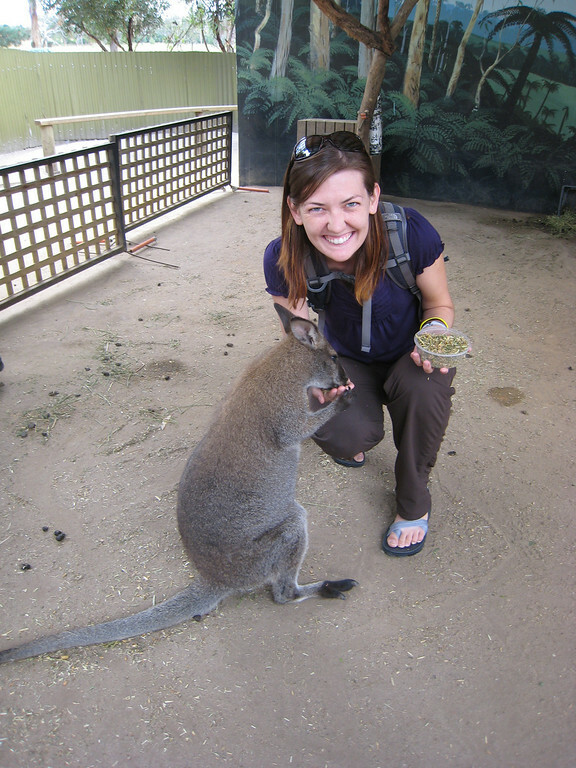 My decision to start in Australia mostly stemmed from the fact that I was living in Los Angeles at the time. I booked a one-way ticket from LA to Sydney, and then spent the next five months planning the trip and downsizing my life. My RTW trip started with a long trek across the Pacific on November 4, 2008. It was a big day for the U.S., and as I boarded my plane, I rejoiced at the news that Obama won the election — seemed like a good start since I had last traveled under Bush, and foreigners were not too thrilled with him. As a newbie to round the world travel, I landed in Sydney without a single friend and feeling a tad lonely. Luckily, backpackers are a friendly lot. I got my travel legs under me by exploring the Opera House, the Taronga Zoo, and the Botanical Gardens. 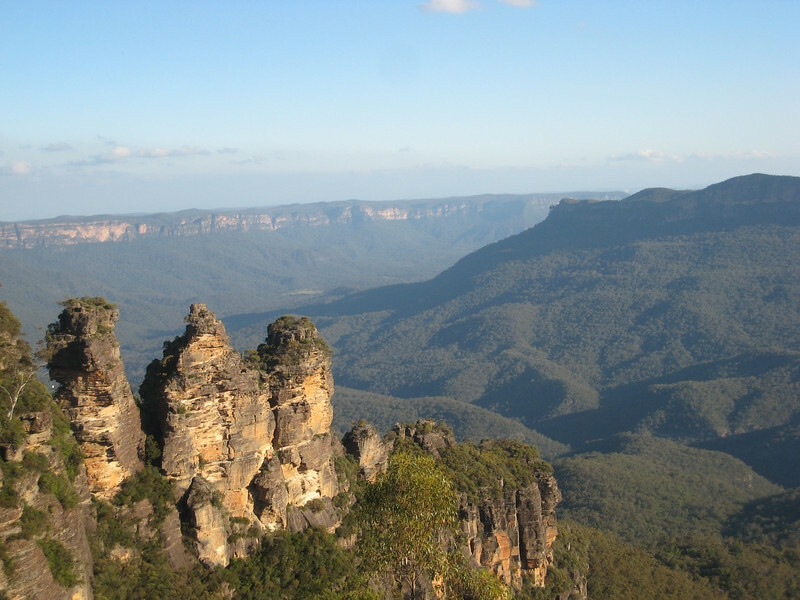 Deciding to stay in the Blue Mountains was a real highlight, and my penchant for getting incredibly lost at the least convenient moments started here. This would become a recurring theme of the trip because, yeah, I get lost a lot. Instead of taking the more common route from Sydney to Cairns, I meandered down the coast of New South Wales (because, kangaroos!). I eventually landed in Melbourne, where I couchsurfed for a week with my buddy Row, who had actually couchsurfed with me in LA earlier that year. Not one to miss the highlights of any new place, I hit up the stunningly pretty Great Ocean Road, and visited the parade of tiny fairy penguins on Phillip Island. 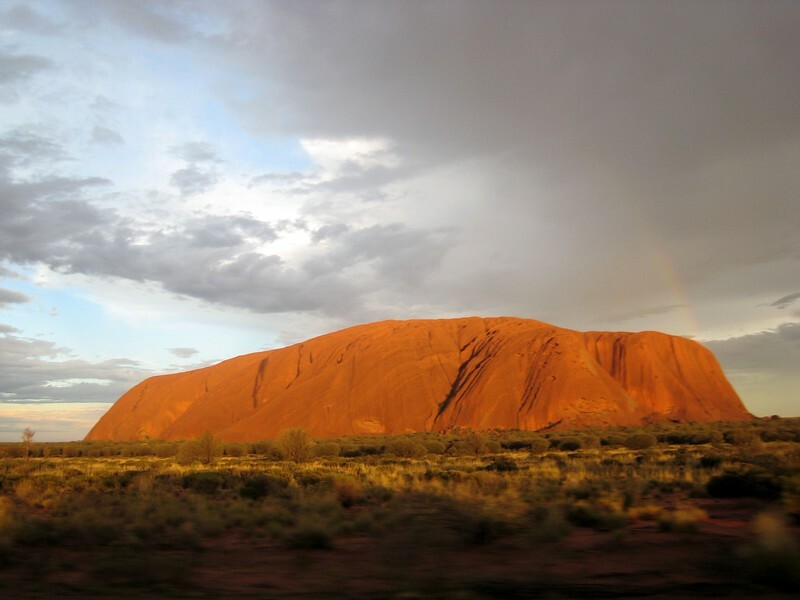 Instead of taking the backpacker bus, I splurged on a quick flight to Alice Springs, which was my launching point to the Australian outback and the iconic Uluru (Ayers Rock) (where it rained and rained!). Having seen only very brief sunshine in the outback, which is rare, I needed the coast so I jumped a flight to Cairns. Over the summer in LA, I went to Catalina Island just so that I could obtain my driver’s certification and be ready to spend several days on the Great Barrier Reef and the UNESCO World Heritage listed Daintree Rainforest. I booked the Greyhound down the east coast of Oz and stopped to sail the Whitsunday Islands for Christmas and to drive across Fraser Island for my 25th birthday. Both were gorgeous and good fun since I was on tours filled with other backpackers. I joined up with two German women for New Years in Noosa and surf lessons in Byron Bay. Which, for the record, I was terrible at doing — I need to either invest in lessons or never hit the surf again. Having spent the holidays (which includes my birthday!) steeped in revelry, I spent the first week of January finishing my journey down Australia’s east coast. My flight to Southeast Asia left out of Sydney and I was psyched! Thailand here I come! Except for no. I almost missed my flight out of Oz because of a visa issue. Just in the nick of time, I convinced the Aussie flight crew to let me on the plane and for the next six weeks I circled around Southeast Asia. 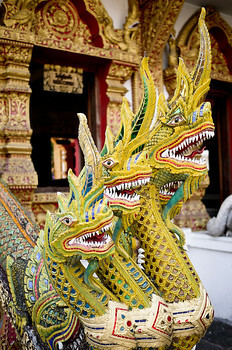 I wasn’t in love with Thailand (which is funny because I ended up living there later! ), but at the time, it had the happy distinction of reconnecting me with an old friend who I hadn’t even known was also backpacking the region! 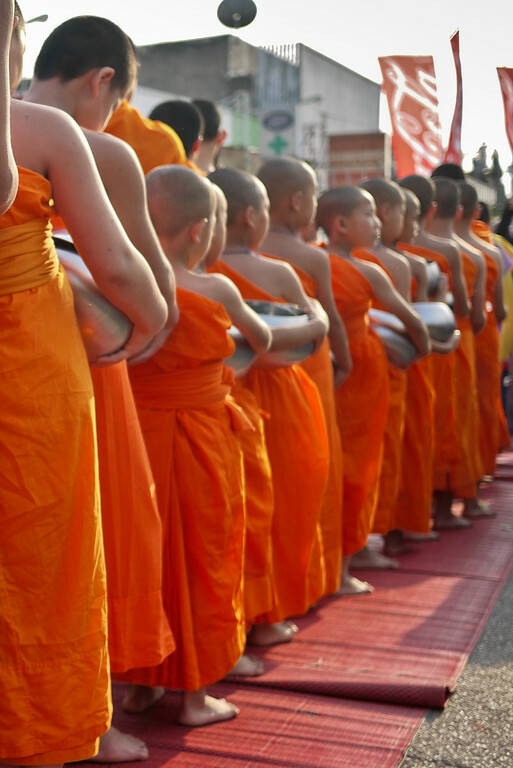 My friend Laura and I teamed up and made a beeline for Laos. We did all the things. We took the backpacker rite of passage by tubing in Vang Vieng, Laos. Then we moved ourselves into a treehouse for the weekend and zip-lined through the forest as a part of the Gibbon Experience. Although elephant trekking has moral quandaries, we rented a logging elephant for the day and trekked through rural Laos. Laos stood out as one of my favorite stops on the trip. Filled with gorgeous waterfalls and gorgeous karst rocks made for rock climbing, how could I not want to come back to SEA? There was that time I was so sick I nearly died, but even that didn’t taint my love for Laos. And although SEA is big on the backpacker route, I stepped off of it for a week for an amazing volunteering experience at FLOW orphanage in Cambodia. Oh, and naturally Angkor Wat, Cambodia was on the list, how could I not! Saying goodbye to Southeast Asia left me a bit heartbroken. Six weeks were just not enough time and I could have spent ages longer in the gorgeous forest, rivers, and sleepy towns of Laos, Cambodia, and Vietnam. But Southeast Asia travels had a hard and fast deadline. I needed to meet up with my cousin in India! Although I had mostly backpacked solo up until this point, my cousin joined me in Mumbai, India. We had left our two months in India intentionally blank, so we spent our first day in Mumbai plotting a route north. We decided to hit up Ahmedabad, and the commuter class train to get there was hilarious. But the town itself was anti-climatic and uninspiring. It’s a fairly average Indian city, with the most notable part being Gandhi’s ashram, which is interesting but we left early because locals mobbed us for photos. The always charming Udaipur renewed our faith that we had chosen a good route. 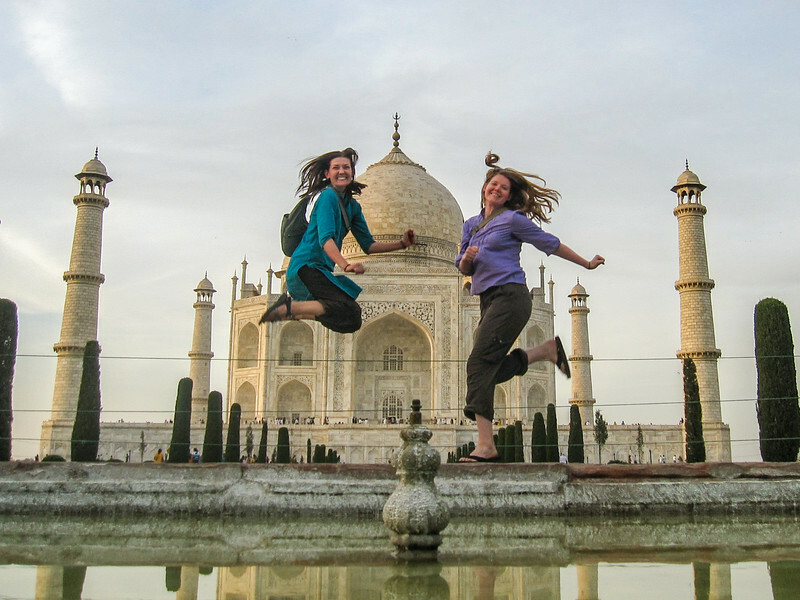 We spent a week there taking it slow, but at the point that I was getting marriage proposals daily, we decided to push on to the backpacker town of Pushkar. Pushkar has a small town vibe with a lot to do: camel safaris, failed henna lessons, and vicious, nasty attacking monkeys. 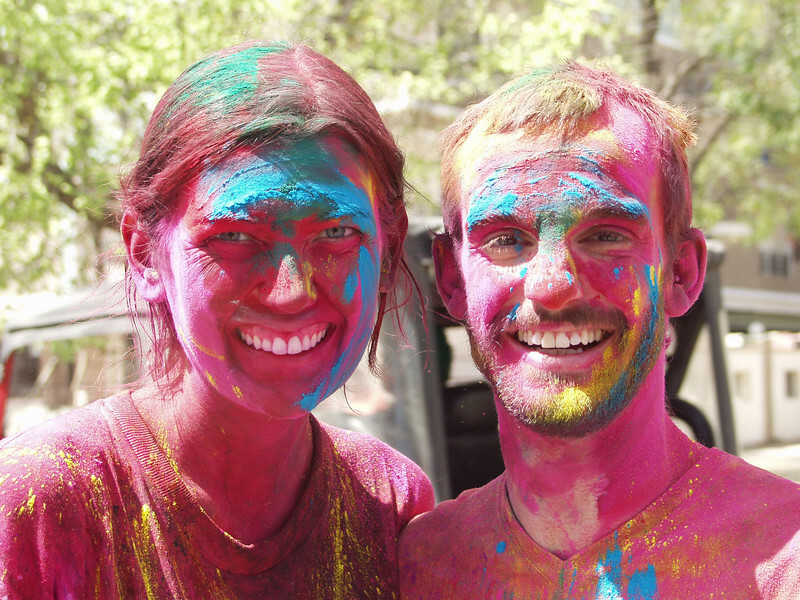 Still backpacking north from Mumbai, we made our way to Jaipur for India’s most colorful and joyful holiday: Holi The Festival of Colors. This Hindu festival celebrates the triumph of “good” versus “evil” and involves throwing large quantities of colored powder and water on everyone within reach. The colors died my skin pink for a week after the celebrations! I was so pink, in fact, that if you look closely at the photos of me at the Taj Mahal the next day, there is a distinct rose hue to my skin. After the Taj, my cousin and I took the sleeper train to Amritsar to take in the beauty of the Sikh’s holy Golden Temple. There’s not much else to do in Amritsar, so we bused it to McLeod Ganj, home of the Tibetan government-in-exile. McLeod Ganj is a pretty mountain town and it was a very different vibe to spend a week living among the Tibetan community there. We hiked in the gorgeous mountains and even learned how to cook tasty Tibetan momos. I’d love to have stayed even longer, but we had just a week before our volunteer program in Nepal, so we made our way to Delhi, stopping in Rishikesh to raft on the sacred Ganges River. My two-month volunteer program in Nepal teaching English to young Buddhist monks was a hands-down highlight of my entire year around the world. The young monks were from the poorest regions all over Nepal. 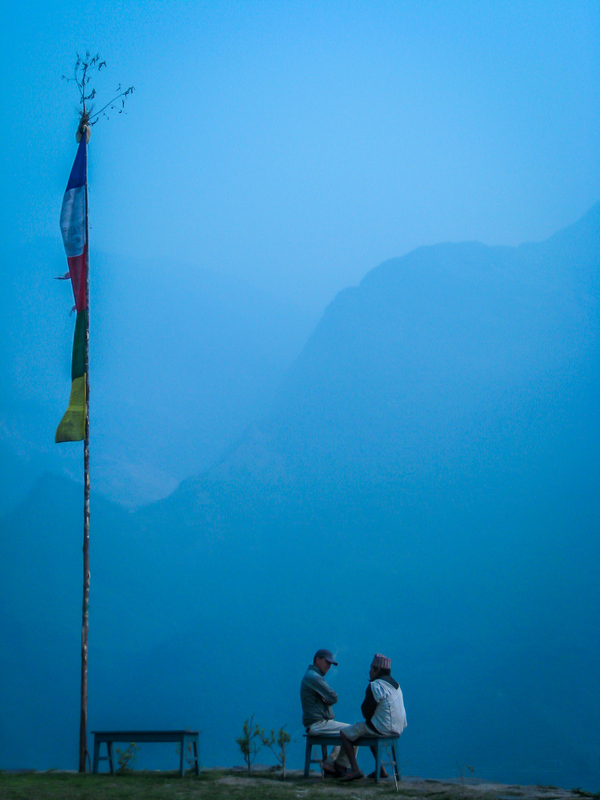 They are able to live at the monastery and receive an education, something lacking in many rural areas of Nepal. I enjoyed the teaching, and, as is often the case, I undoubtedly learned more than I taught my young monks. My cousin and I wrapped up our time at the monastery this month and left our quiet life in Pharping. 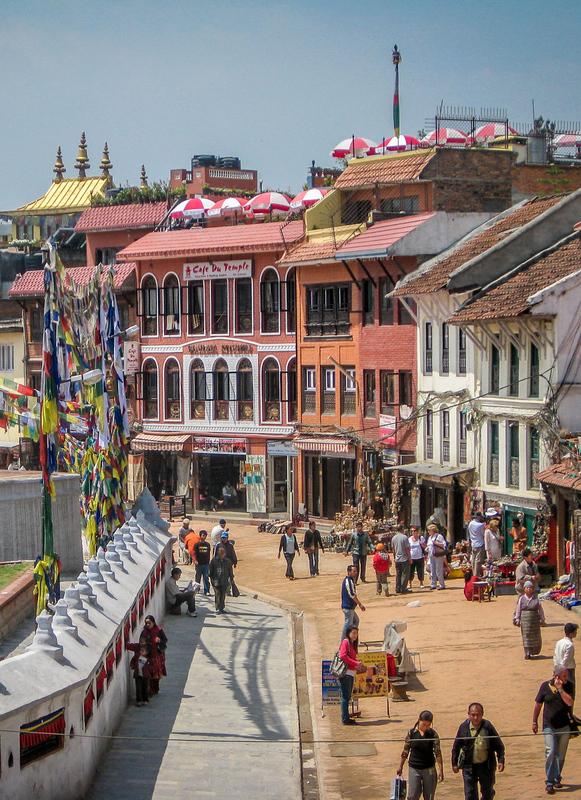 Pharping is an hour+ outside of Kathmandu and it was a peaceful town with many monasteries. Nepal’s Chitwan National Park is gorgeous and home to an intriguing indigenous ethnic minority group, the Tharu. 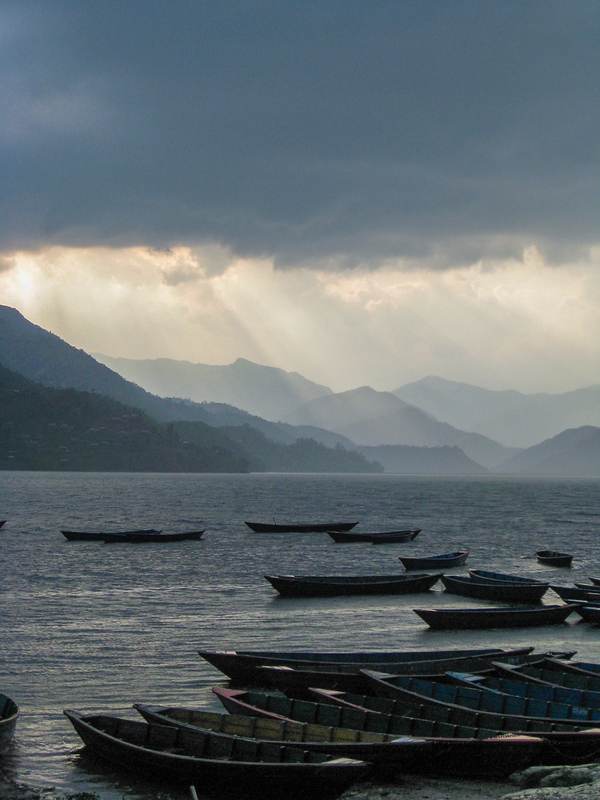 From there, we took a bus to Pokhara for a 10-day Vipassana meditation course. This was intense. It was mind-expanding and amazing, and something I’m not likely to do again any time soon. Pokhara is the gateway to the Annapurna treks, so I teamed up with other volunteers and hiked in the Himalayas for five days. By the end of May, the Maoists began heavily protesting, so it was an ideal time to leave the developing world and welcome my bestie Jenn to the RTW trip. She flew over from the States and we met in Milan, Italy. 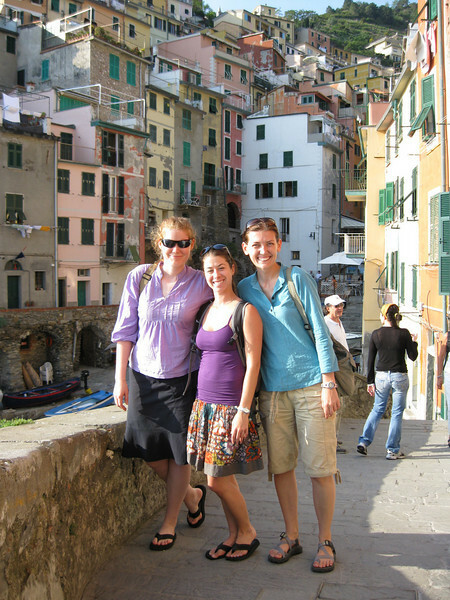 I spent my college study abroad in Italy and had fallen in love with the food, country, and people. I was happy to be back. Jenn and I spent a couple of weeks gorging on gelato, hiking through Cinque Terre, supporting the Leaning Tower of Pisa, biking around Tuscany, snapping illegal photos of the David (yes, he is gorgeous), wandering the Boboli Gardens and the Uffizi, and meandering the streets of Assisi, Italy. All in all, it was a whirlwind but wonderful two weeks in one of my favorite countries. The ferry to Croatia from Italy was a debacle, but that was quickly forgotten as we rented cottage on the island of Brac and we relaxed for a week. 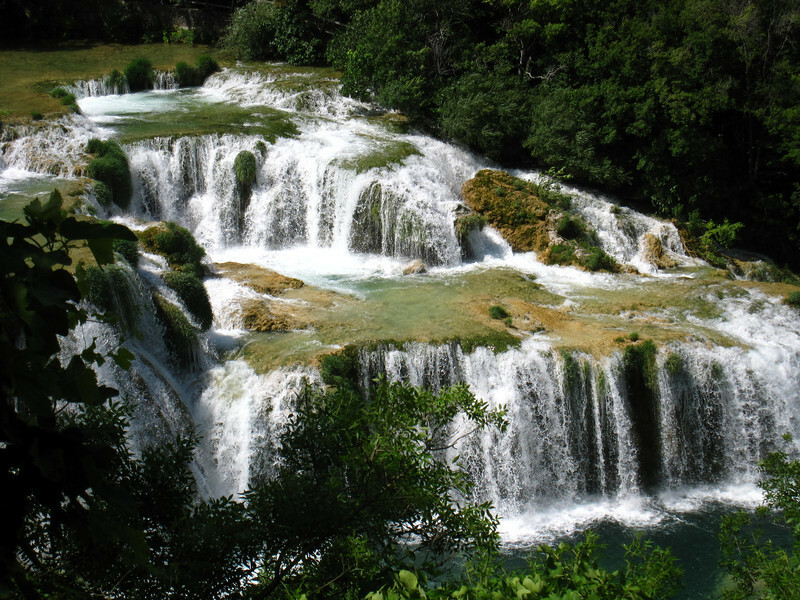 Then we all explored the Krka waterfalls and the stunning Plitvice Lakes National Park. Jenn needed to get home, so we parted ways and I continued traveling. From Zagreb I moved into Sarajevo, Bosnia and met wonderful couchsurfers there. Sarajevo has made my short-list of my favorite capital cities in the world — it’s small and consumable with just the right touch of fun. I had food issues in Bosnia traveling as a vegetarian, but also some real non-issues with the Bosnian desserts! The pretty town of Mostar still has visible war damage and the city’s cobbled streets and history are a more sobering look at Bosnia’s war-riddled recent past. 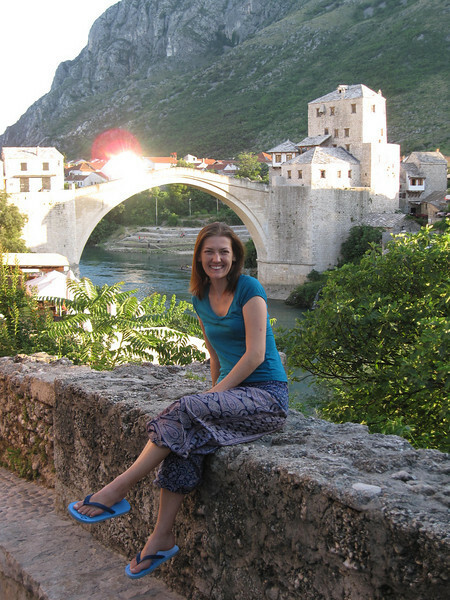 Traveling through Bosnia & Herzegovina was a sleeper favorite from my entire year! I had no idea I would love it so much there. From Bosnia I moved into Slovenia and couchsurfed with a lovely couple. I fell in love with the sidewalk café culture in the region. 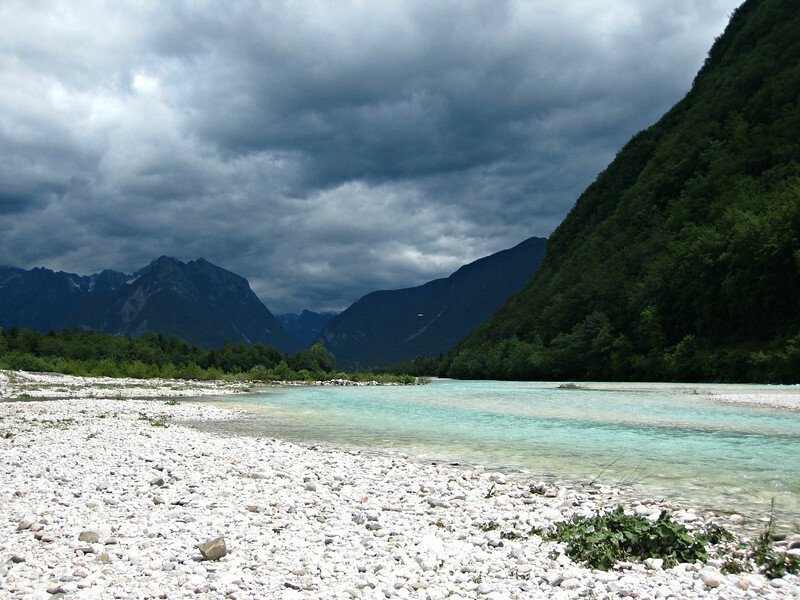 Like Bosnia, I visited Slovenia on a whim and it wowed me. The Soĉa River is among the prettiest rivers in the world, and Ljubljana’s Street Theatre Summer Festival is all kinds of fun. Leaving Slovenia, I trained my way up through Czech Republic to take in the peaks and churches of Prague. And while Prague is undoubtedly pretty, I love small towns and I camped out for one week in the incredibly cute town of Cesky Krumlov. After visiting the Czech Republic, I finished out the month of July by house-sitting in Amsterdam for two weeks (for free!). Biking around Amsterdam is the way to go, and I visited dozens of museums, parks, and farmers markets. An all-day bus out of Amsterdam put me crashing on a couch in London, where I met up with friends that I had last met in India during the Holi festival. 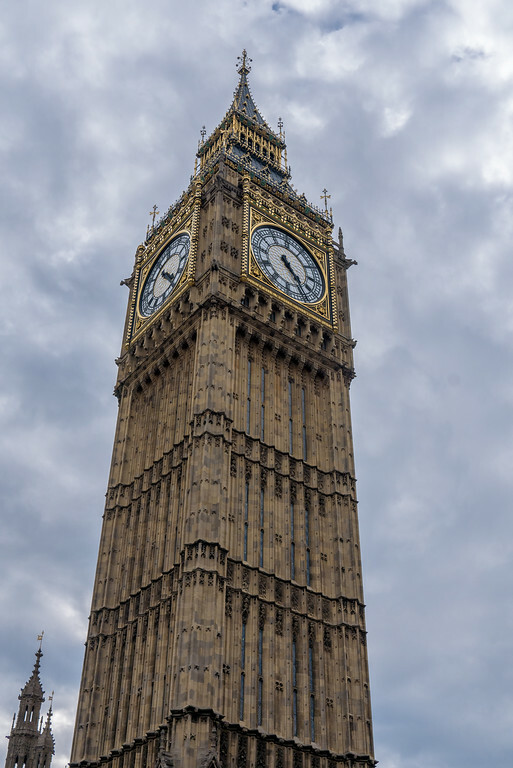 London was both pricey and too fast-paced for me, so I booked a train north to travel through smaller parts of the UK for the rest of the month. 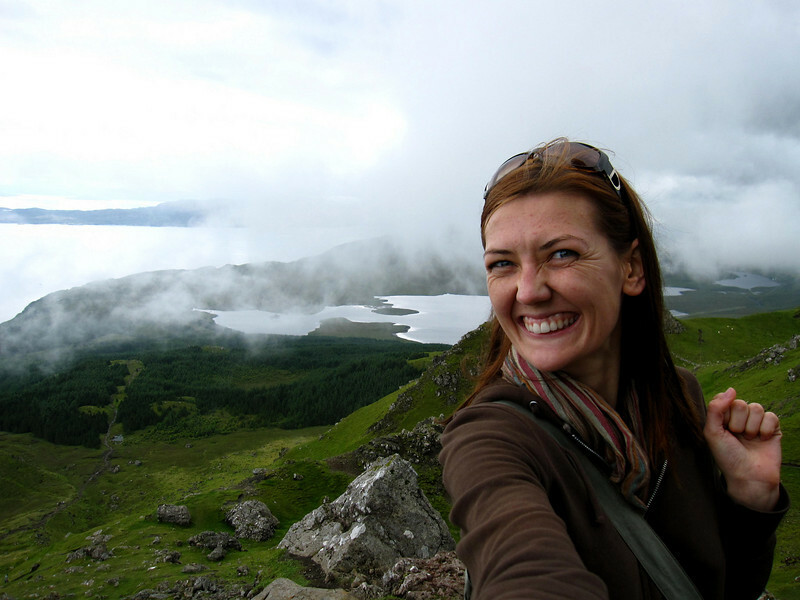 Highlights from my month in the UK include hiking through the Lakes District, enjoying Stirling (of the William Wallace fame), and taking in the gorgeous scenery on the Isle of Skye — I loved hiking the Old Man of Storr. I was traveling at a rapid pace, so it didn’t end there. I caught a bus to Fort Augustus to hunt down Nessie the Loch Ness Monster, and then I might have lost my mind when I hitchhiked in the Cairngorms before landing in Edinburgh. I loved Edinburgh. A tweetup connected me with locals, which I squeezed in between watching a dozen shows at the annual Edinburgh Fringe Festival. This festival was a pivotal point on the timeline for my RTW trip. I structured all of my Europe travels to be in Edinburgh in August for the Festival. The Emerald Isle marked the last leg of my round the world trip. Sadness and nostalgia were already creeping into me. Seeing the end in sight, I rented a car for three weeks. This was a huge splurge on considering I was aiming for a budget under $20,000 for the entire year. 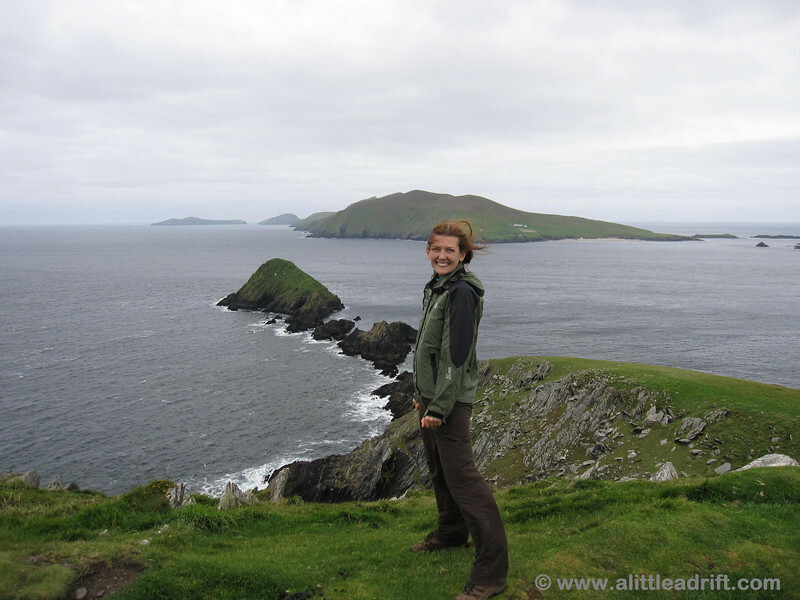 After a year of witnessing the most incredible sites in the world, I took it low-key in Ireland, with many things well on the tourist path, and then a lot of things well off of that path. 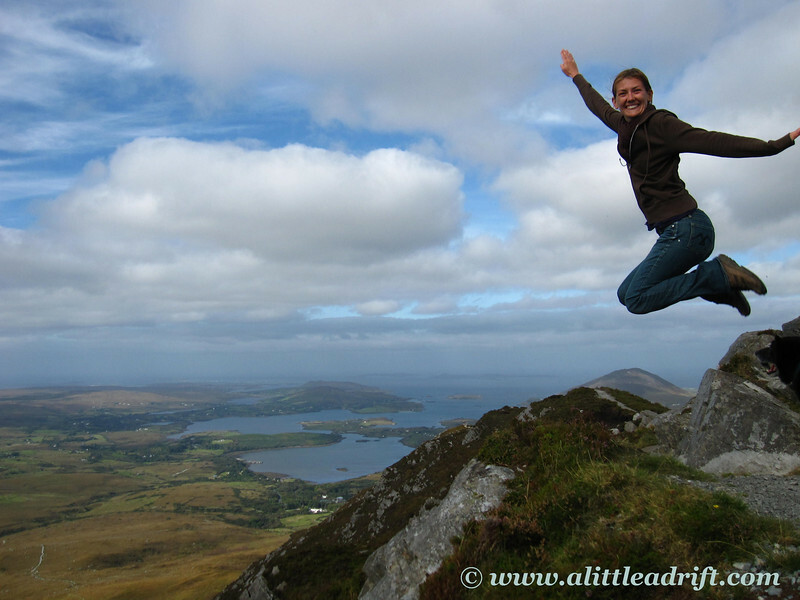 Kissing the Blarney Stone and visiting the Cliffs of Moher are arguably some of the “musts” in Ireland, while Dingle’s Slea Head drive and the Aran Islands are less touristy and filled with incredible Irish music and culture. With just a week left of the entire year, I spent a week driving around Connemara and then hiking in the National Park. My dad sent me money and told me to treat myself to someplace nice, so I stayed in a beautiful bed and breakfast in the Wicklow mountains before ending with a day in Dublin and one last chance to hear amazing live music. After two layovers and a handful of hours, somehow I had arrived back in Florida. Although I had travel fatigue at points during the year, I was also used to constant movement. Landing at my parents house was a shock to the senses and I had serious travel blues and culture shock as I readjusted to life back home, enjoyed the holidays, and then planned my next route around the world. After my round the world trip ended, I realized that I was still able to work from the road and explore the world. I visited home for the holidays and then set out across Central America. I’ve now visited more than 60 countries on five continents — find the full list of countries and stories on the site’s destination page, where you can browse by stories or via themes and you can plan your own trip with these world travel resources. You can find my location and travel plans here, as well as my current projects and passions.